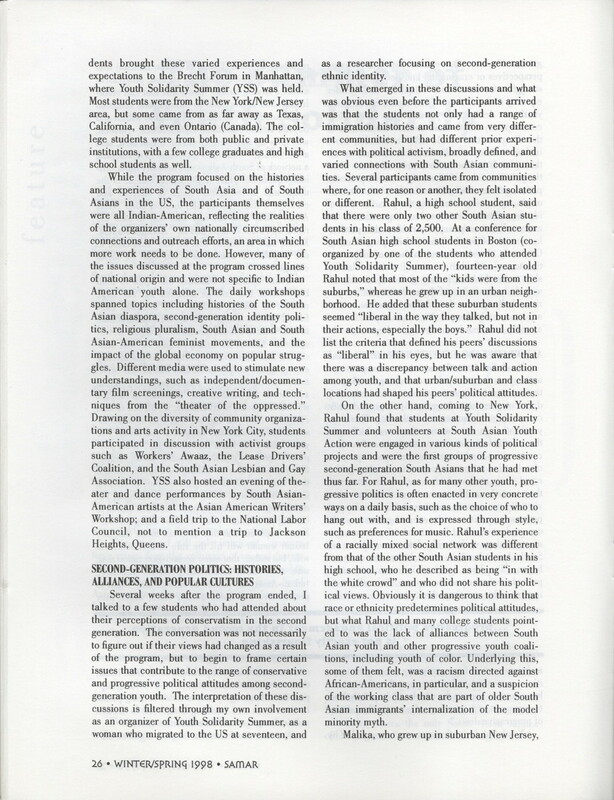 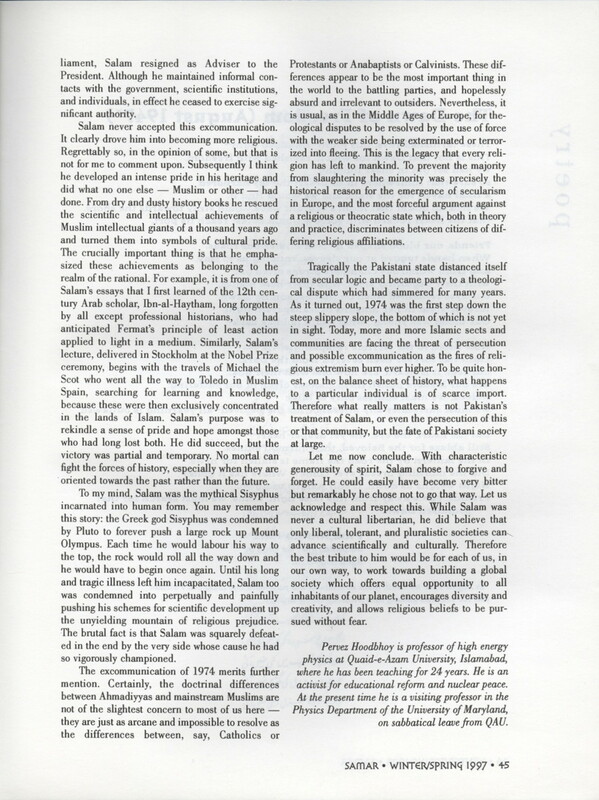 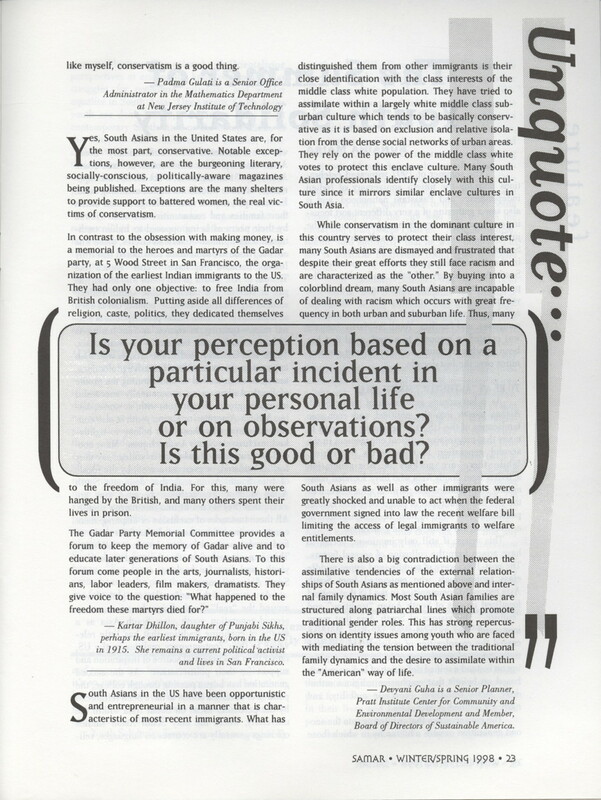 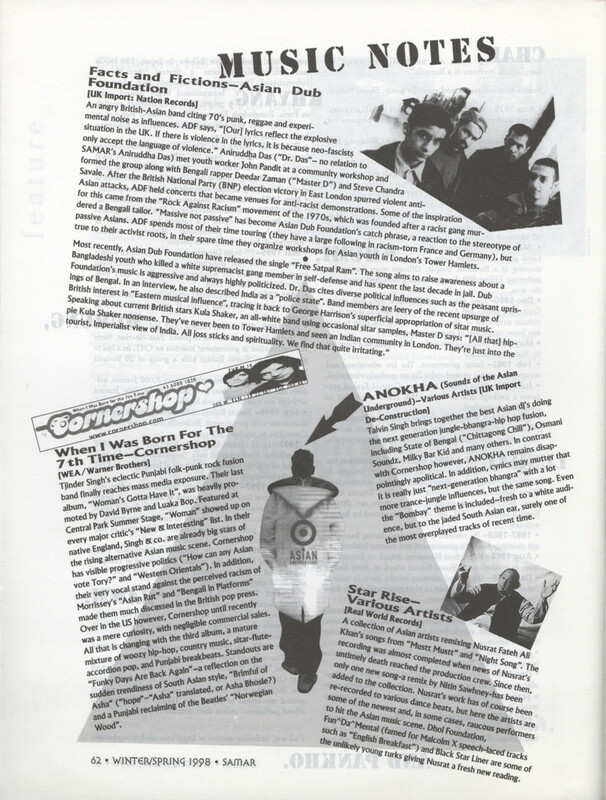 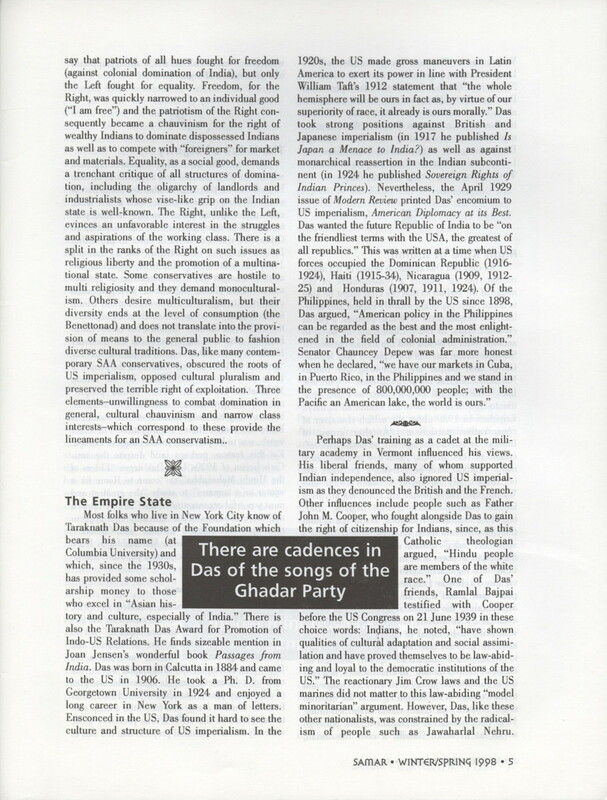 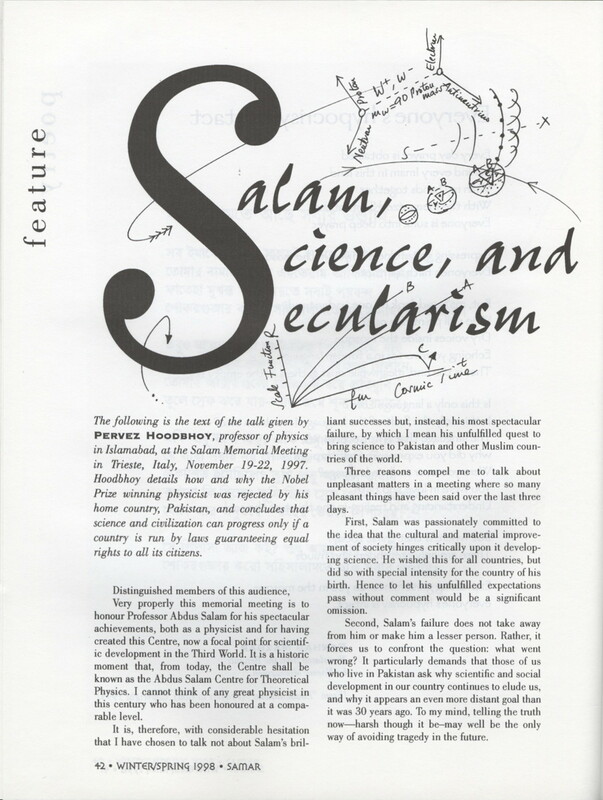 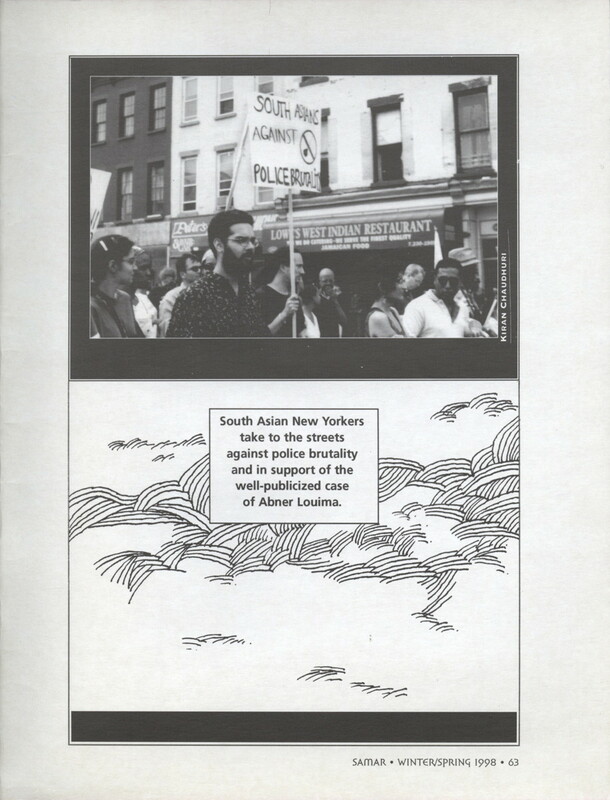 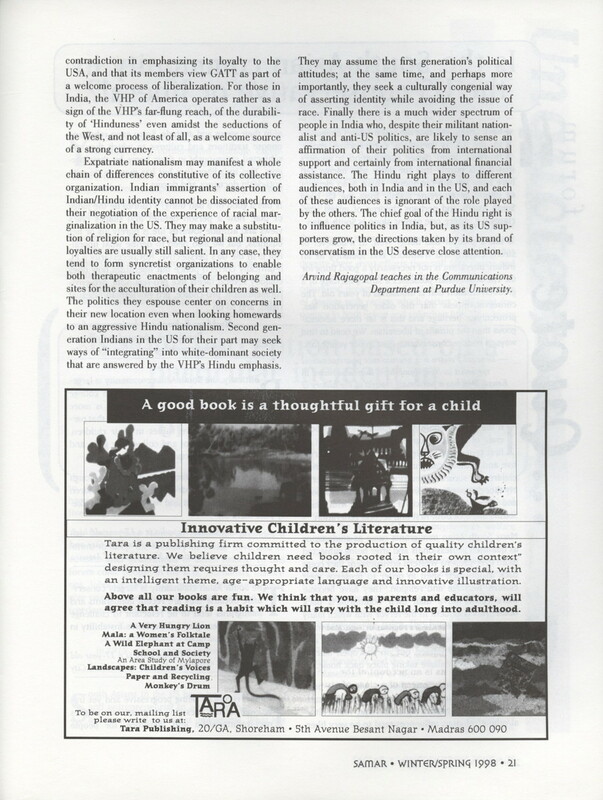 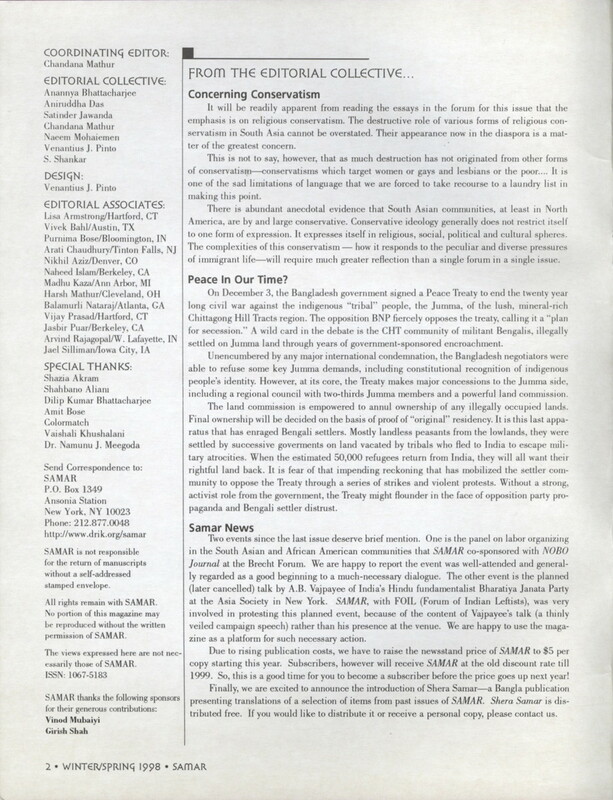 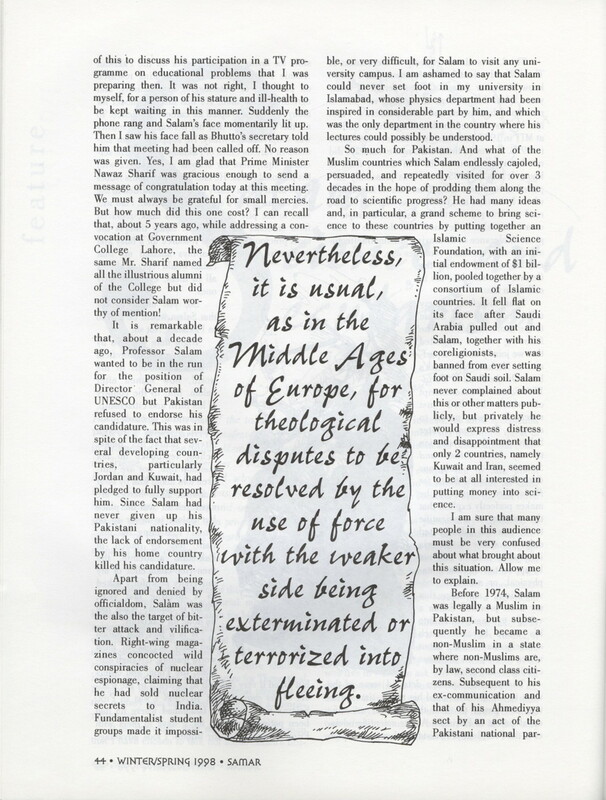 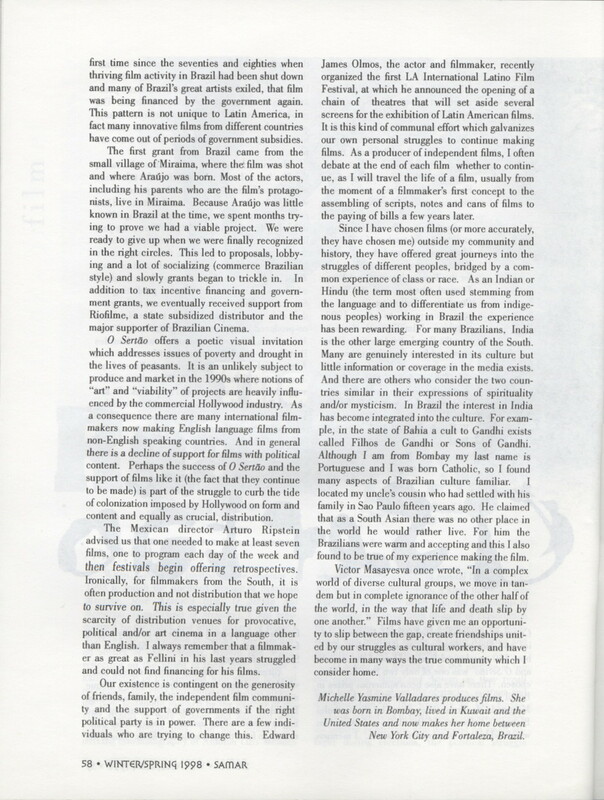 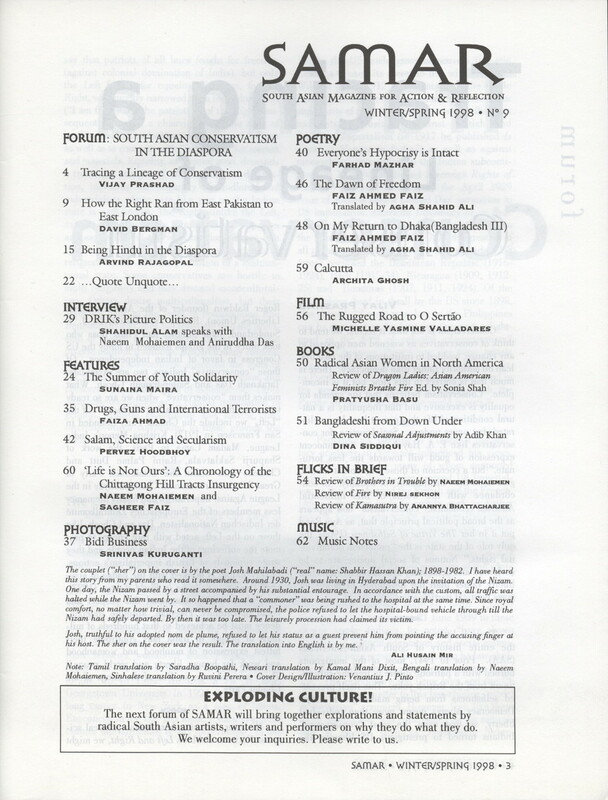 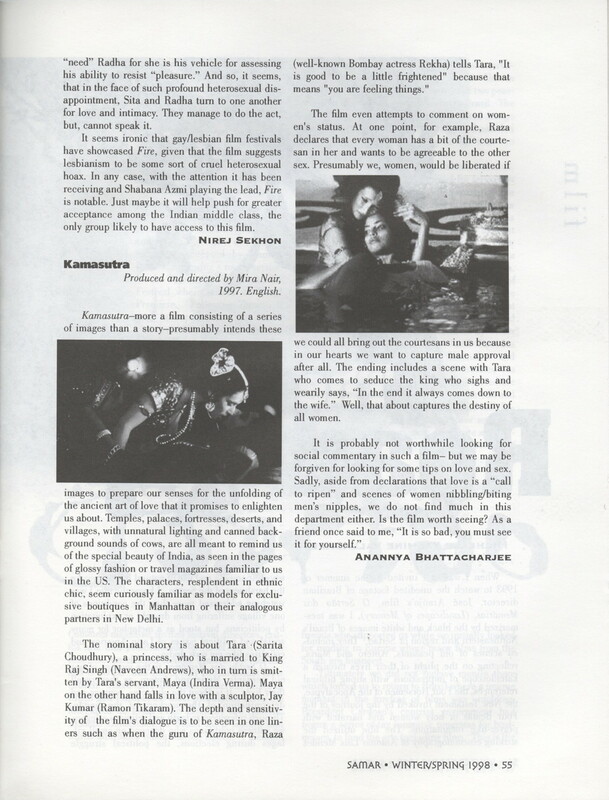 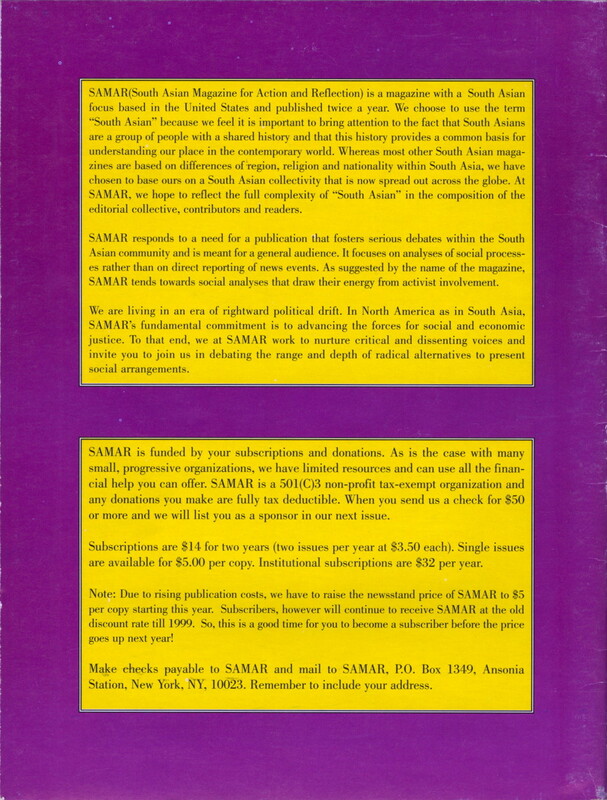 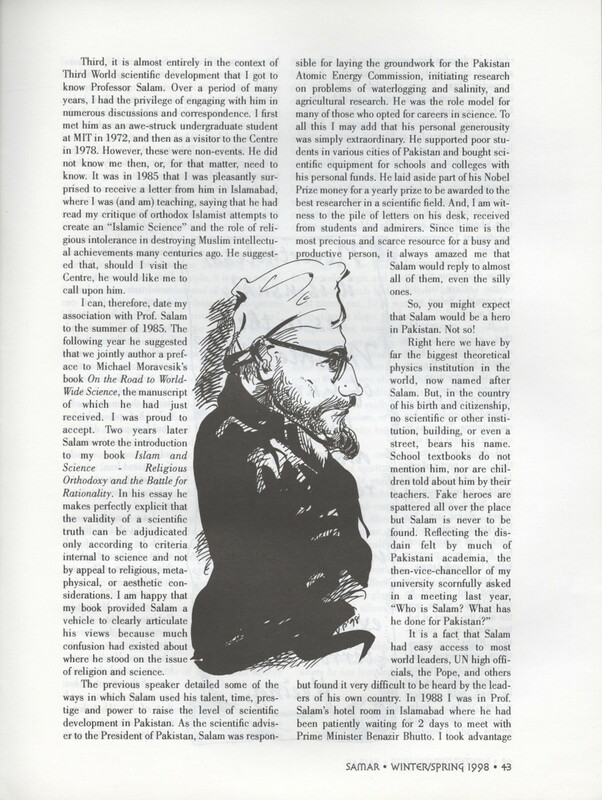 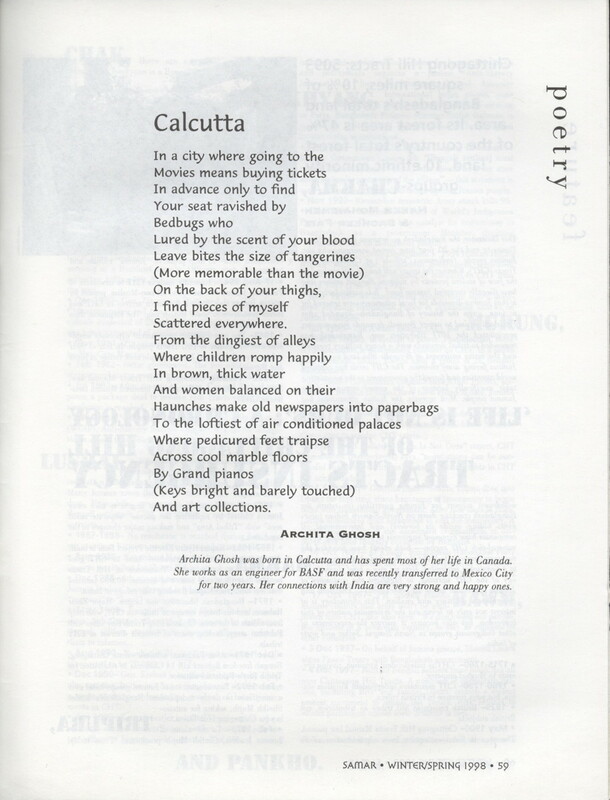 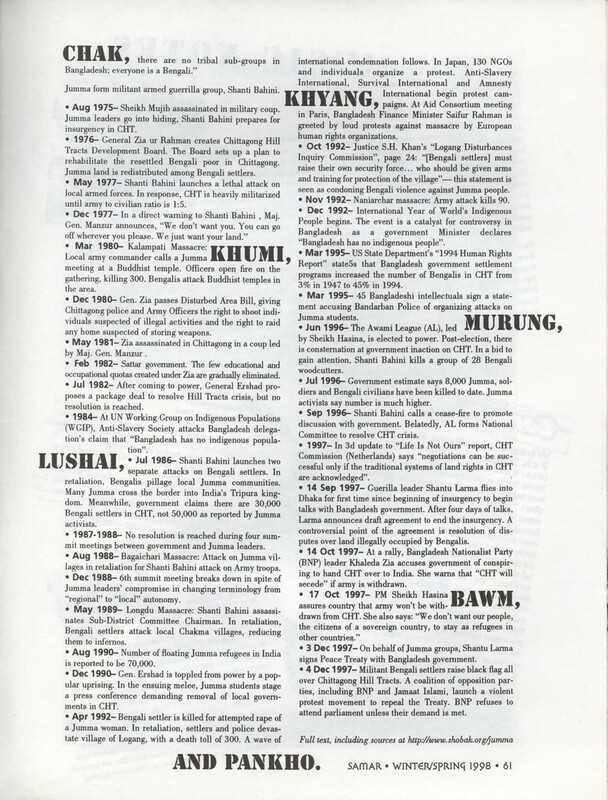 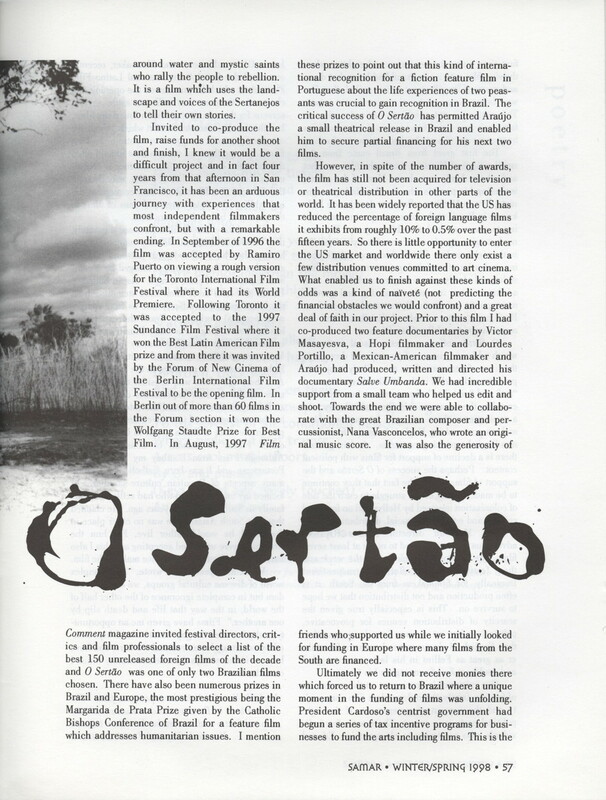 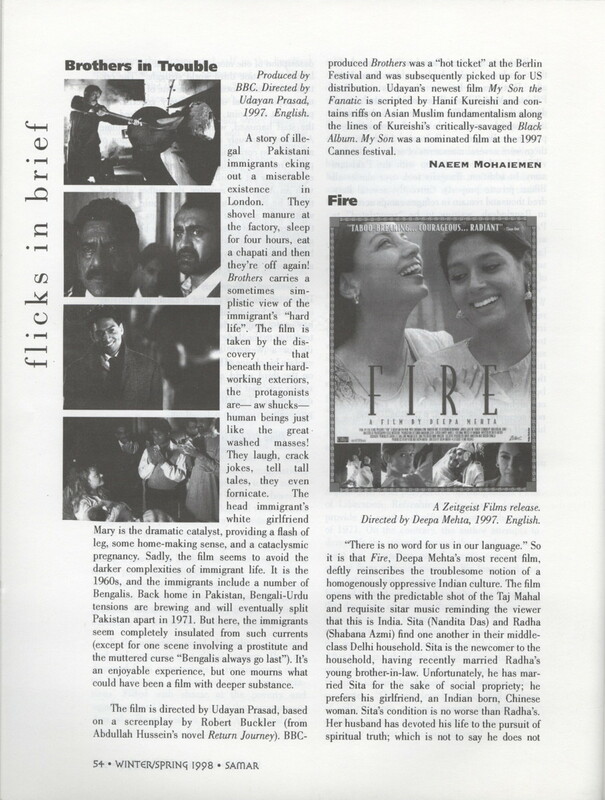 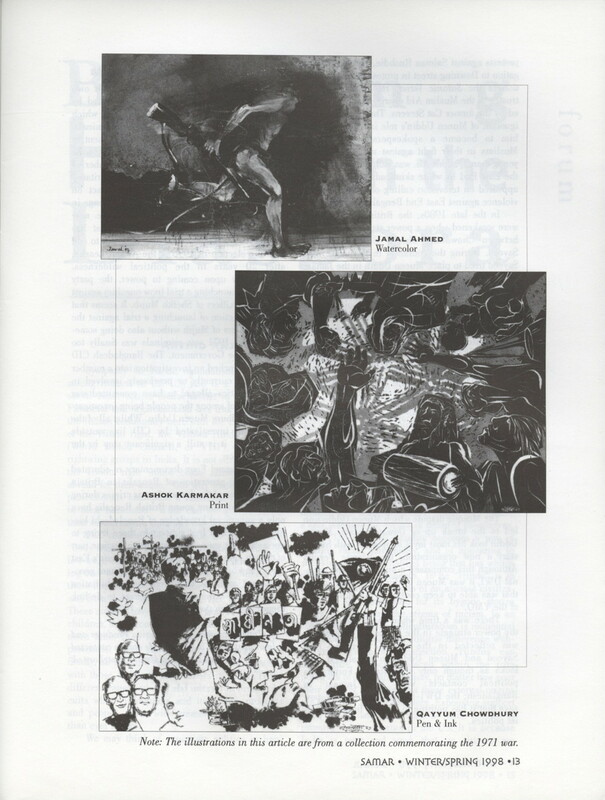 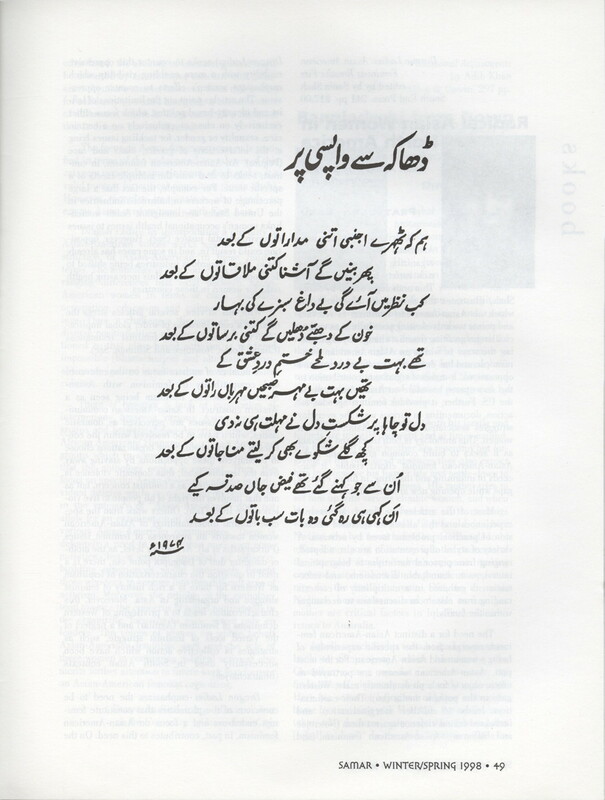 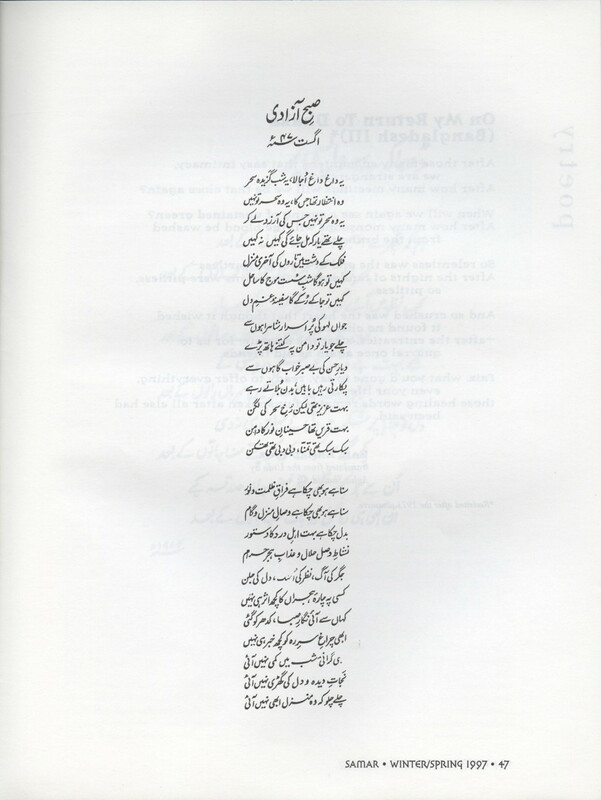 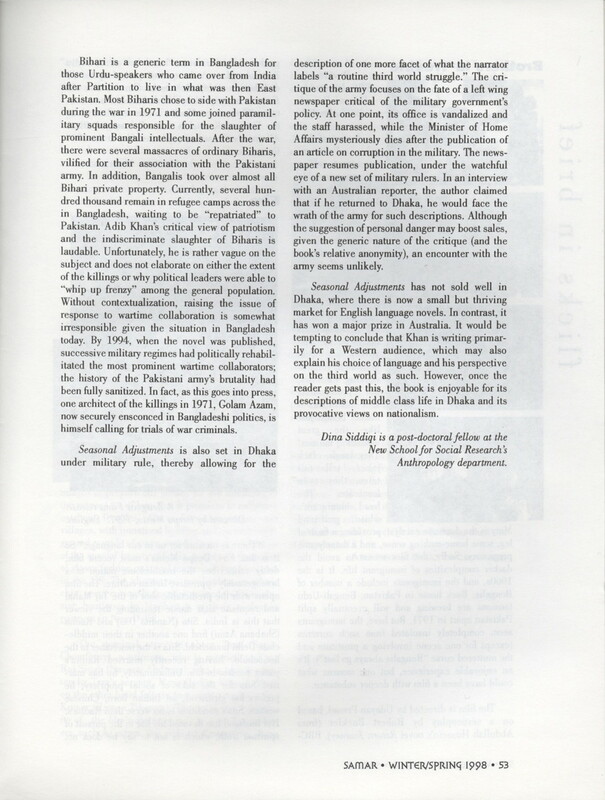 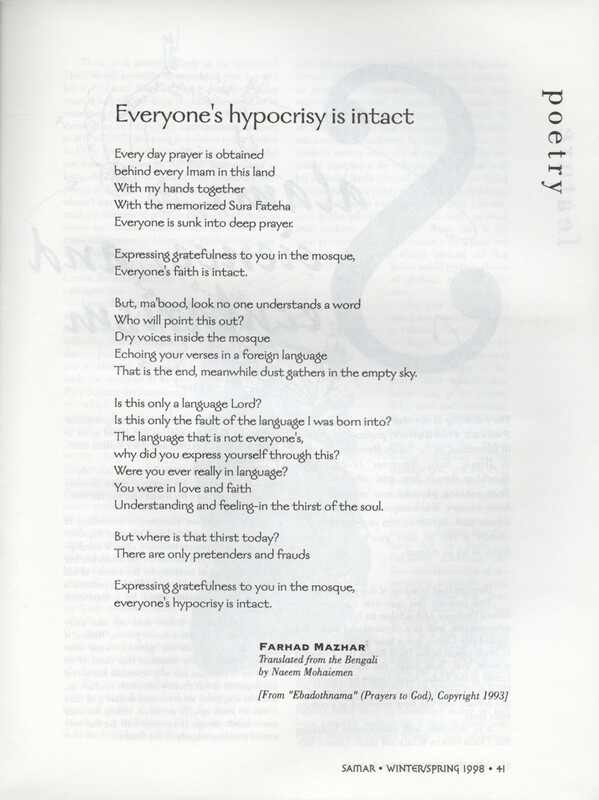 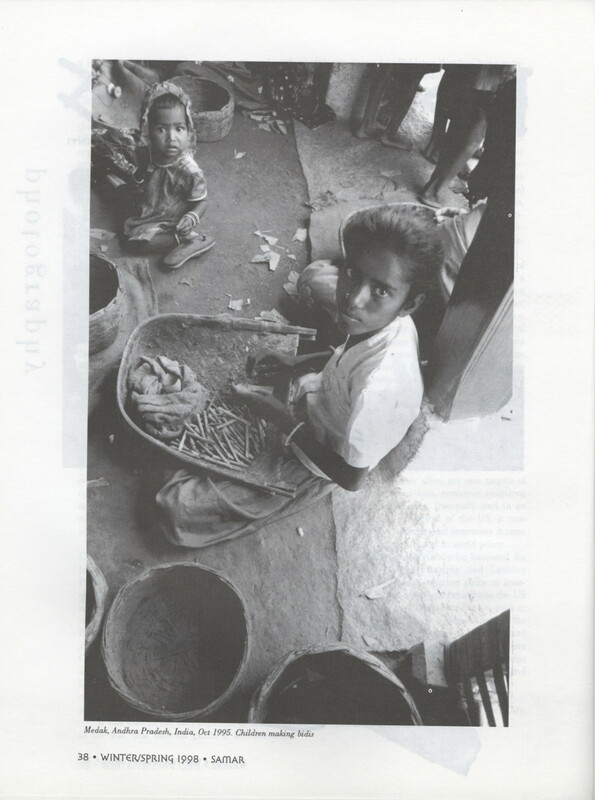 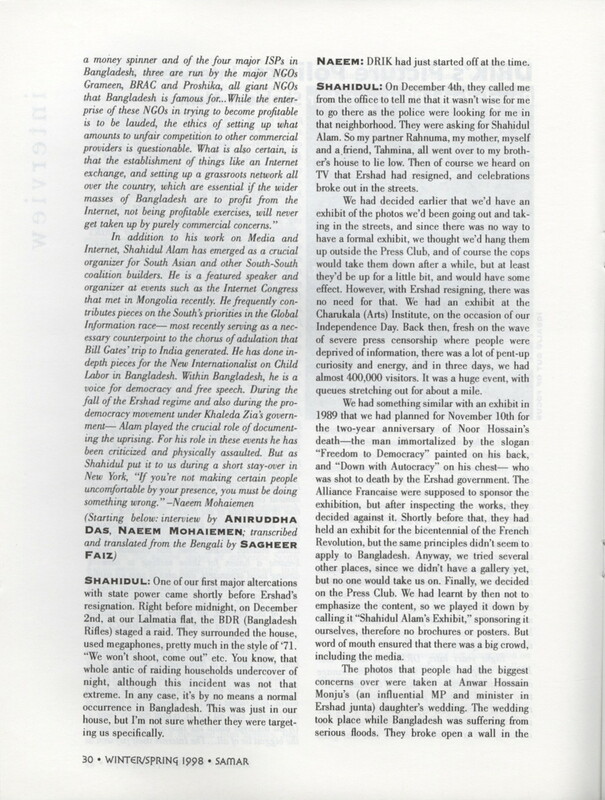 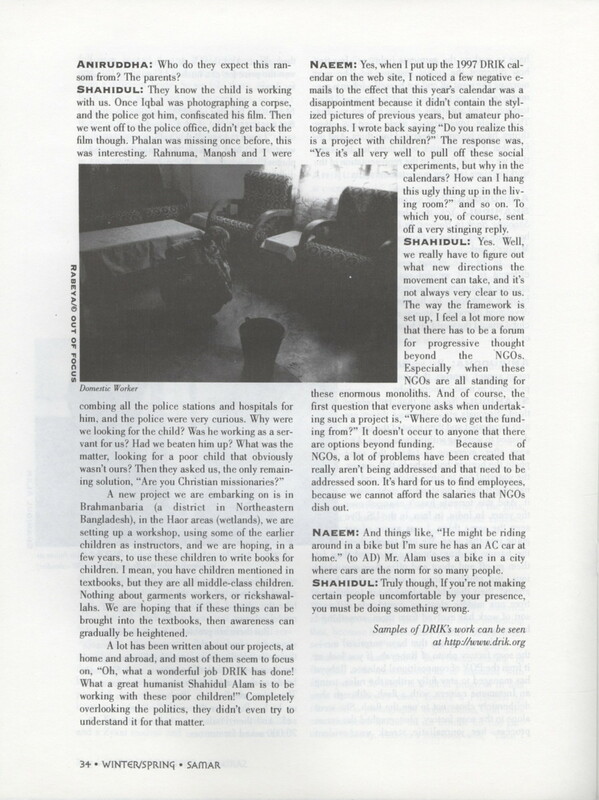 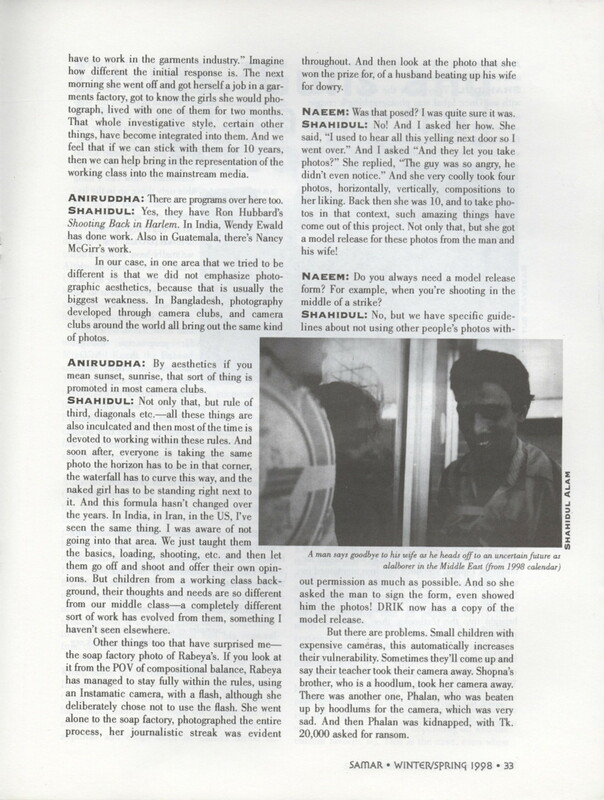 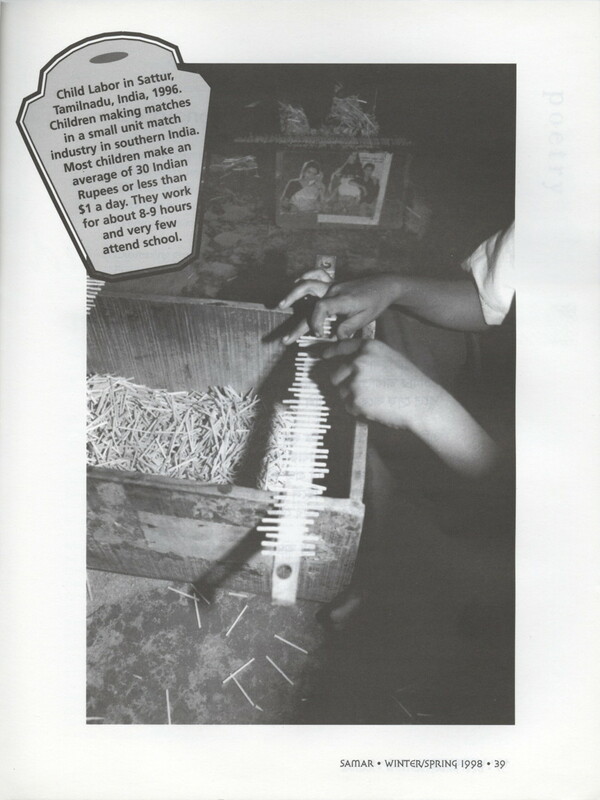 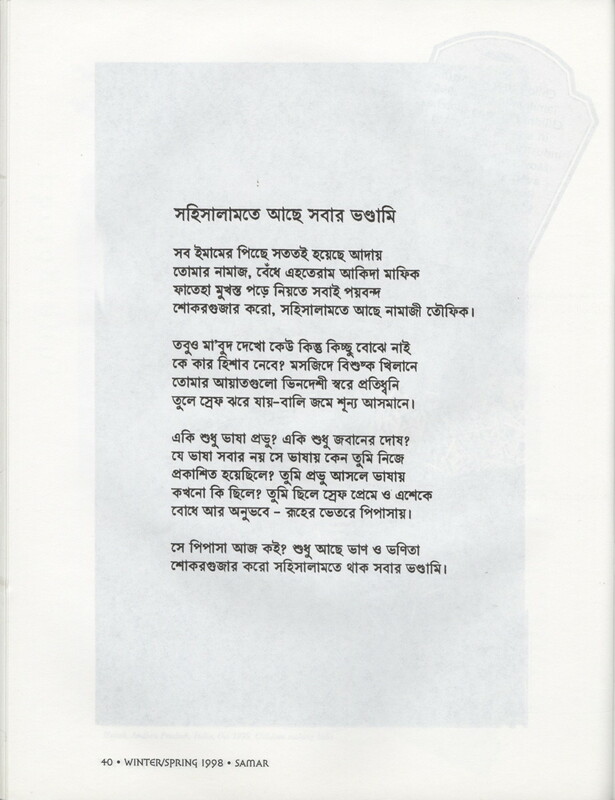 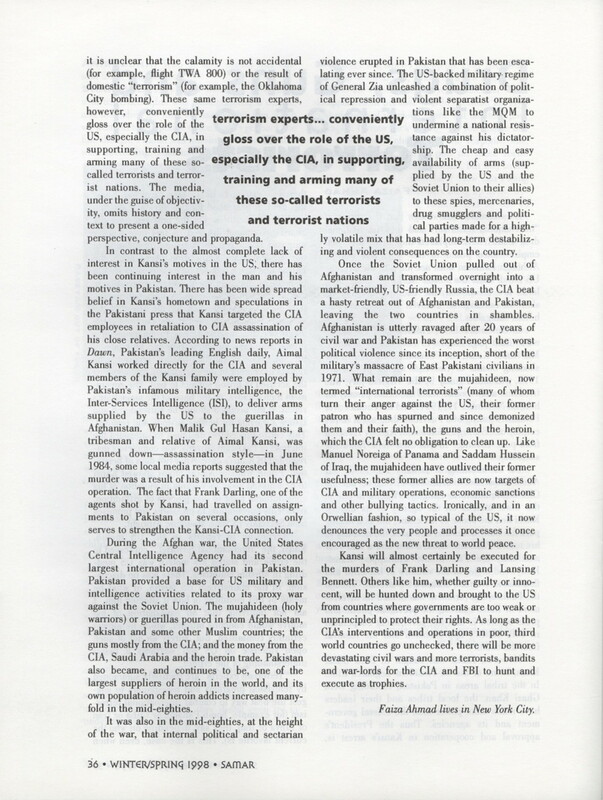 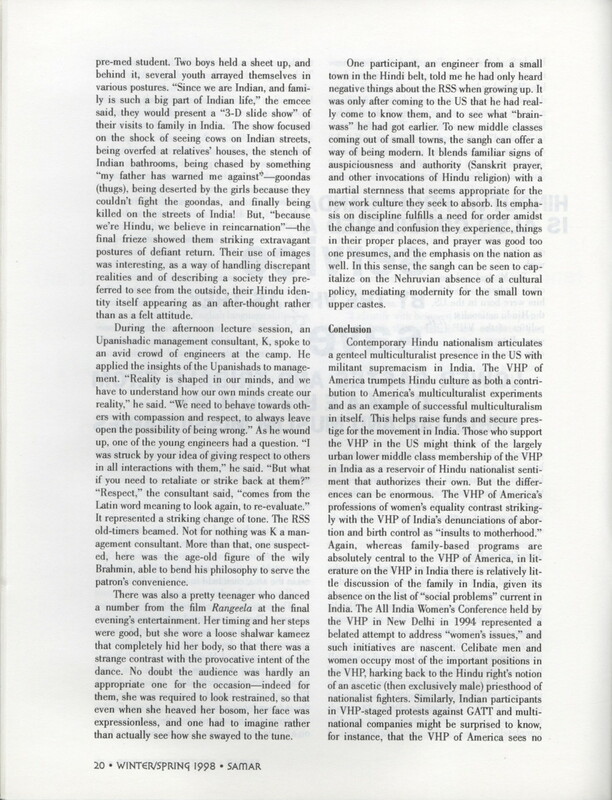 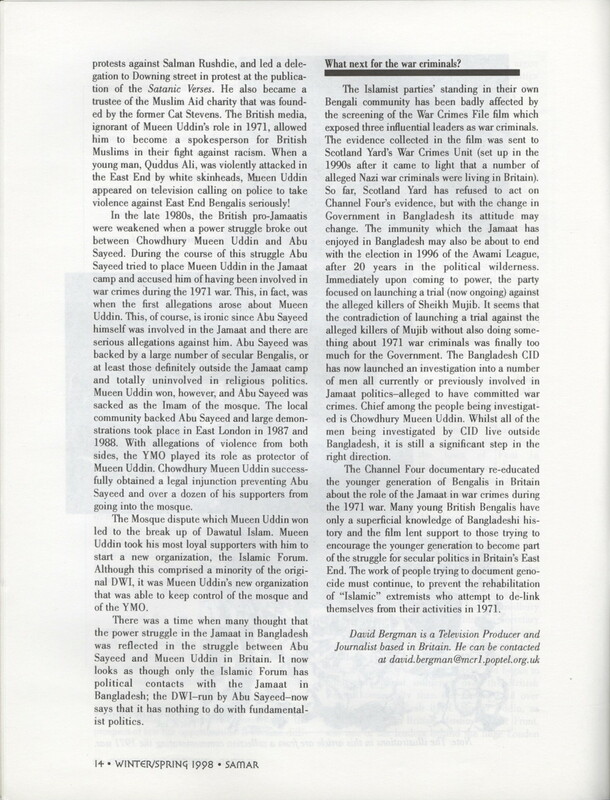 The Winter/Spring 1998 issue of SAMAR (No. 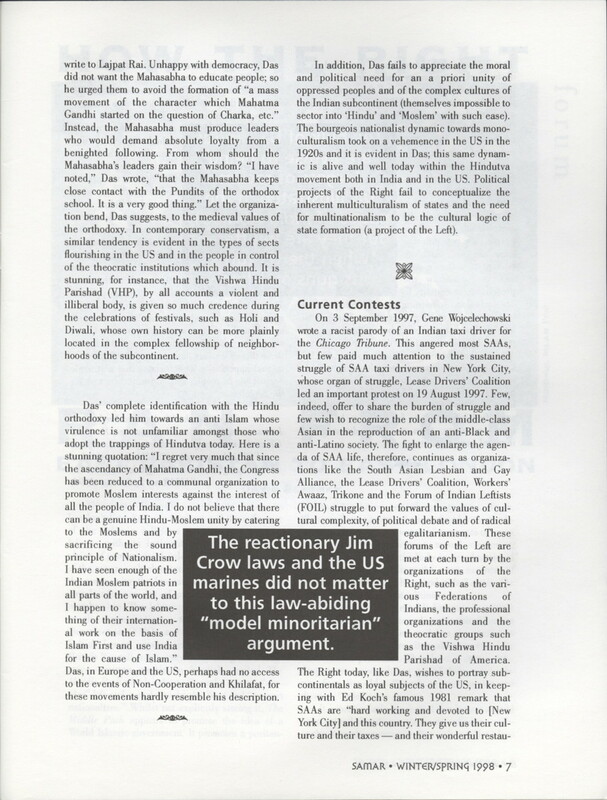 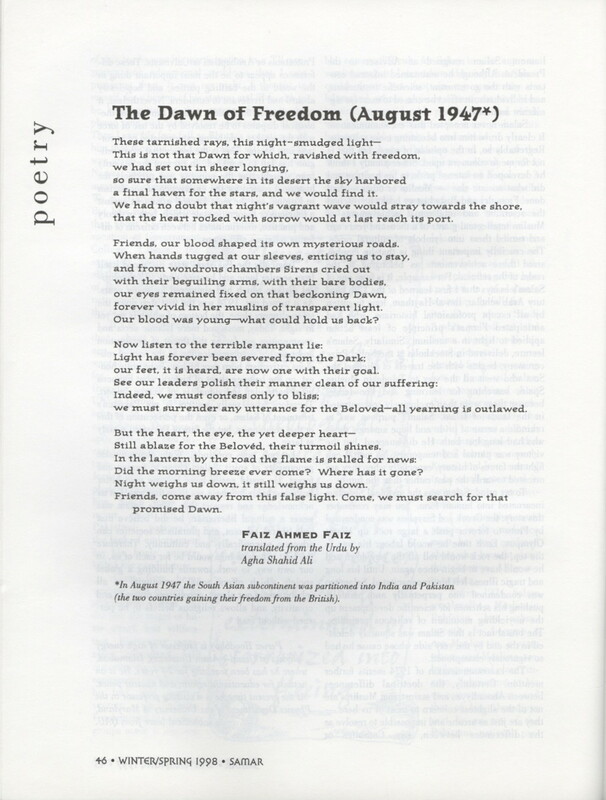 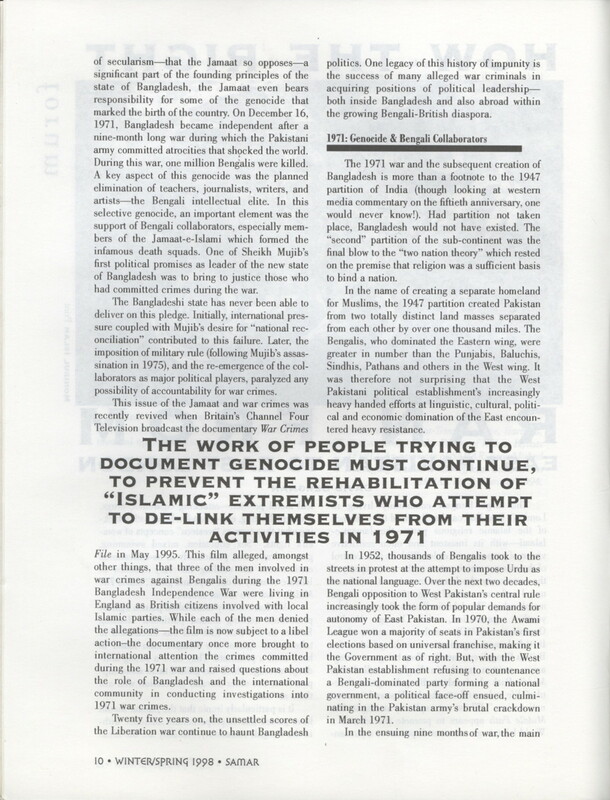 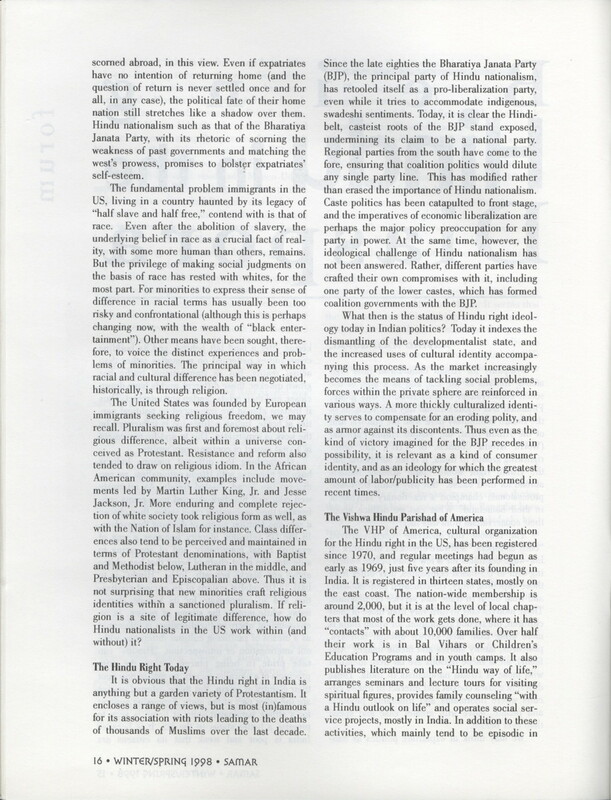 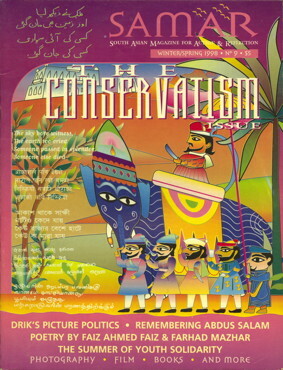 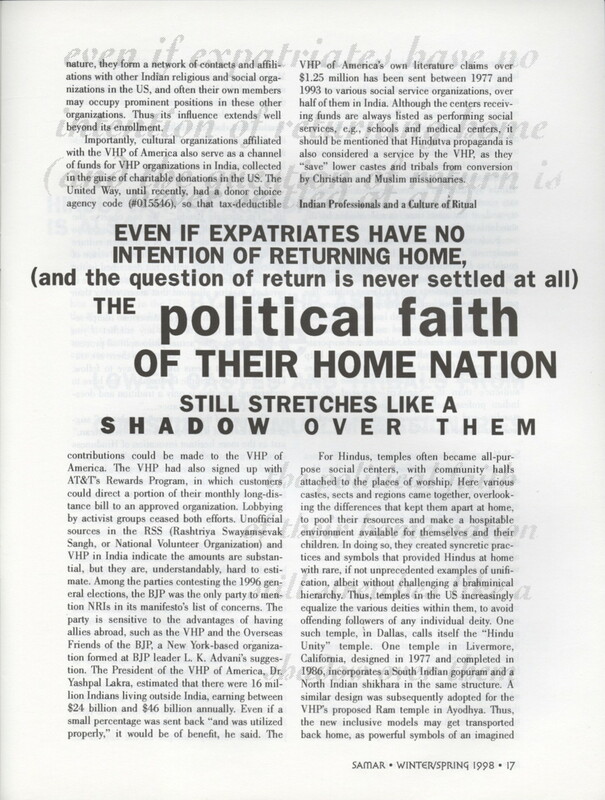 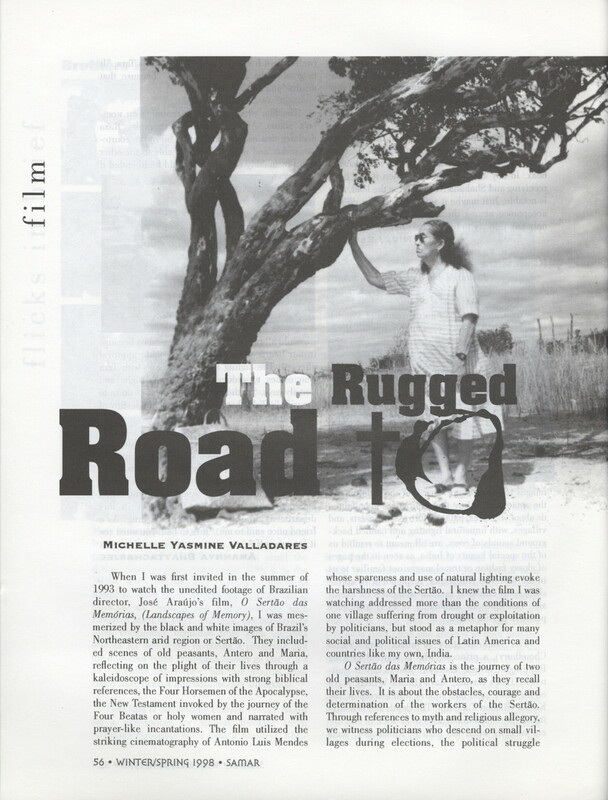 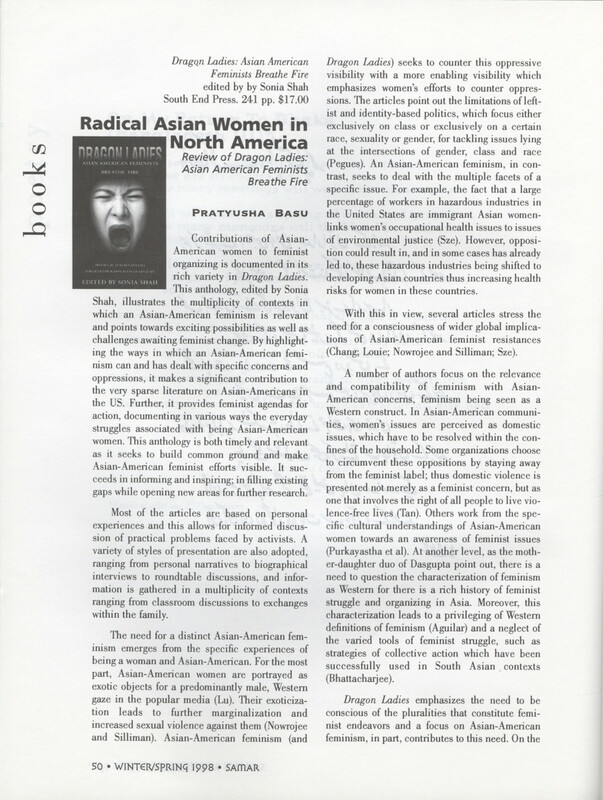 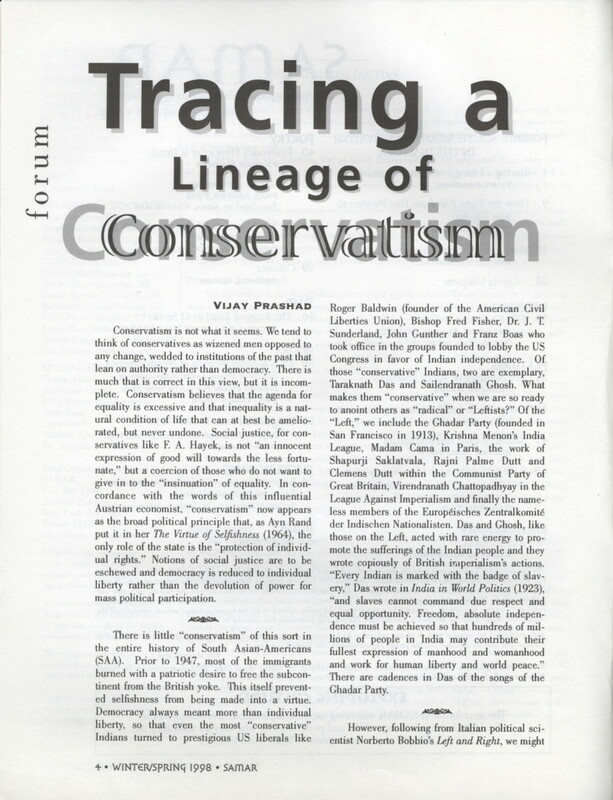 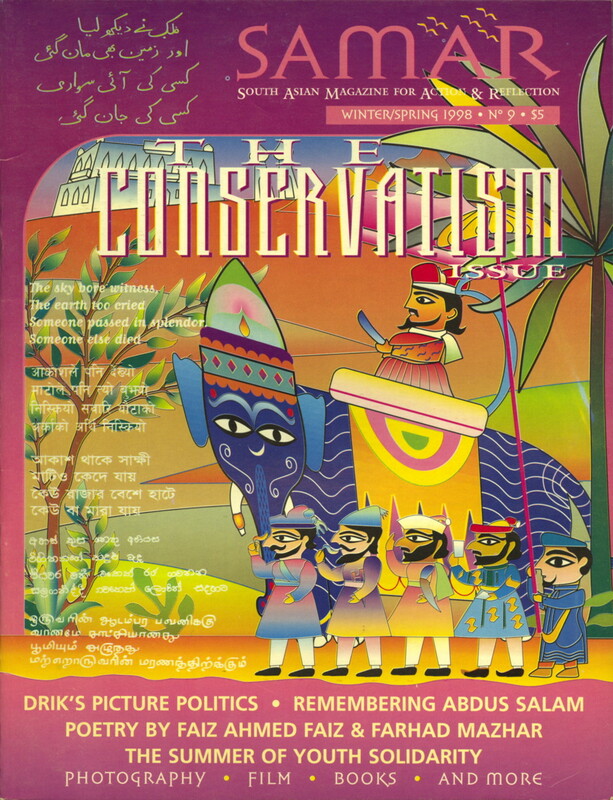 9) focused on the theme of "conservatism," and featured contributions by Vijay Prashad, David Bergman, Arvind Rajagopal, Sunaina Maira, Faiza Ahmad, Pervez Hoodbhoy, Naeem Mohaimen, Sagheer Faiz, Srinivas Kuruganti, Michelle Yasmine Valladares, Pratyusha Basu, and Dina Siddiqui. 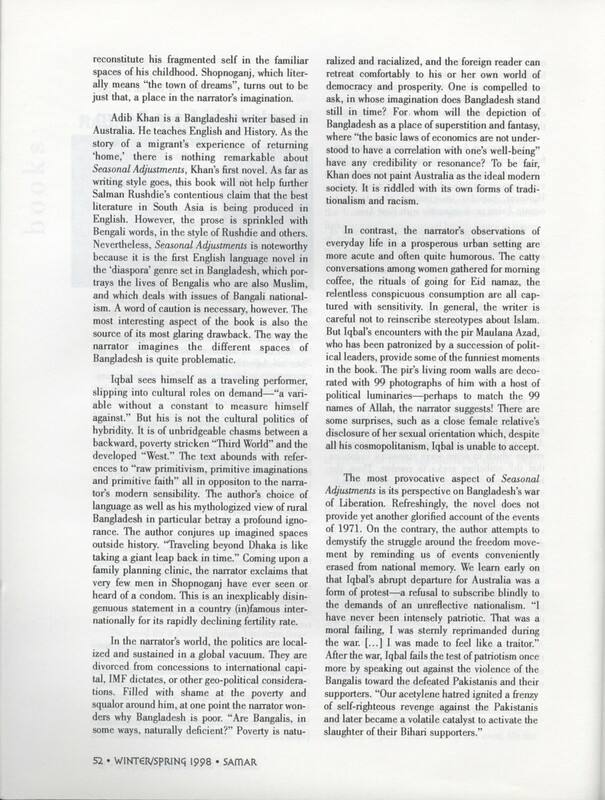 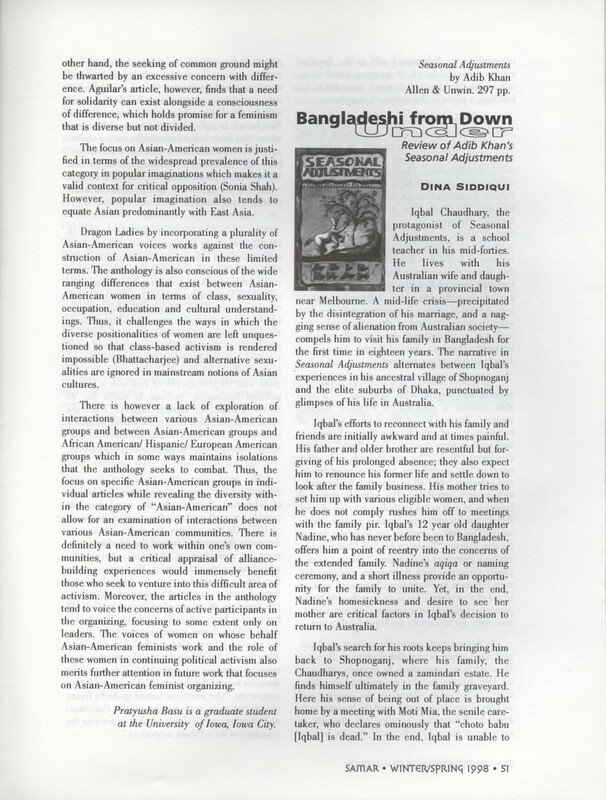 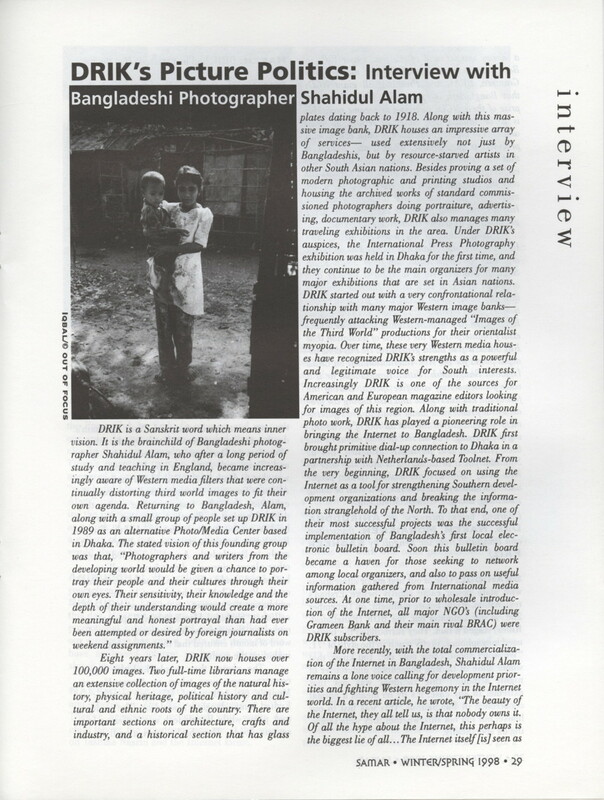 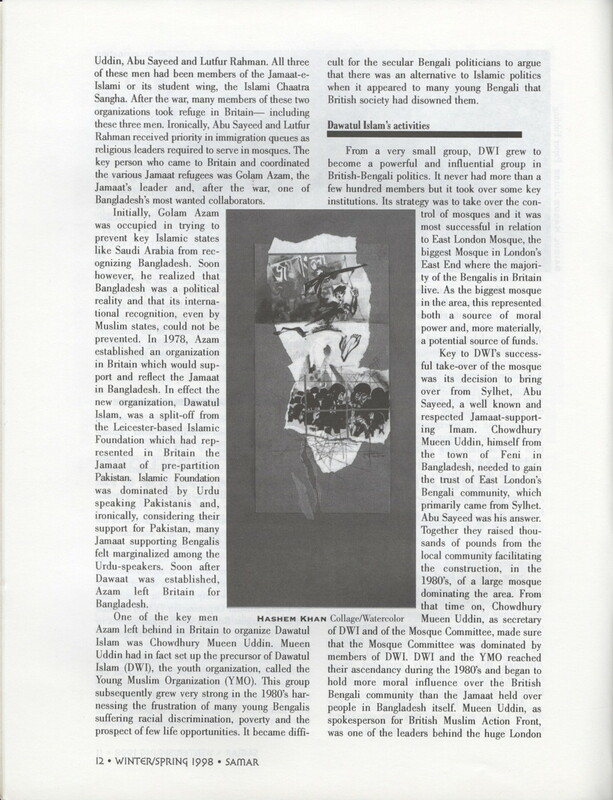 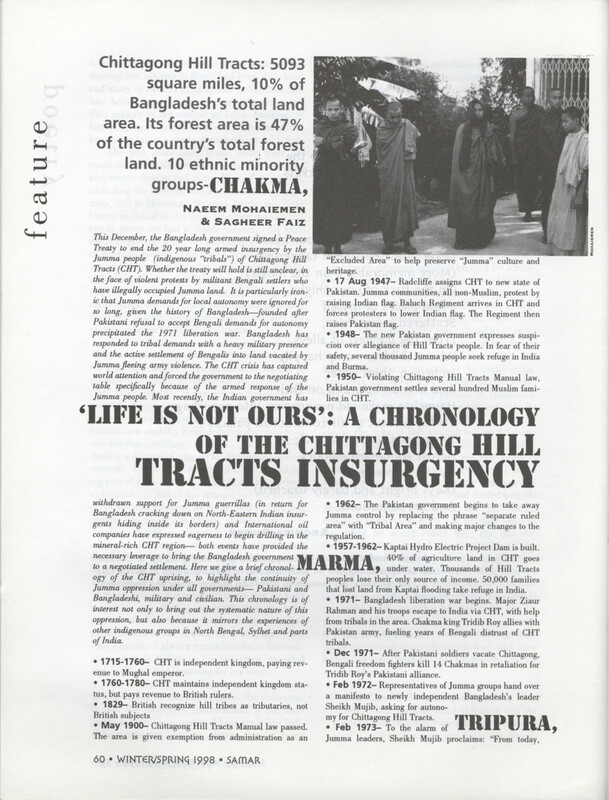 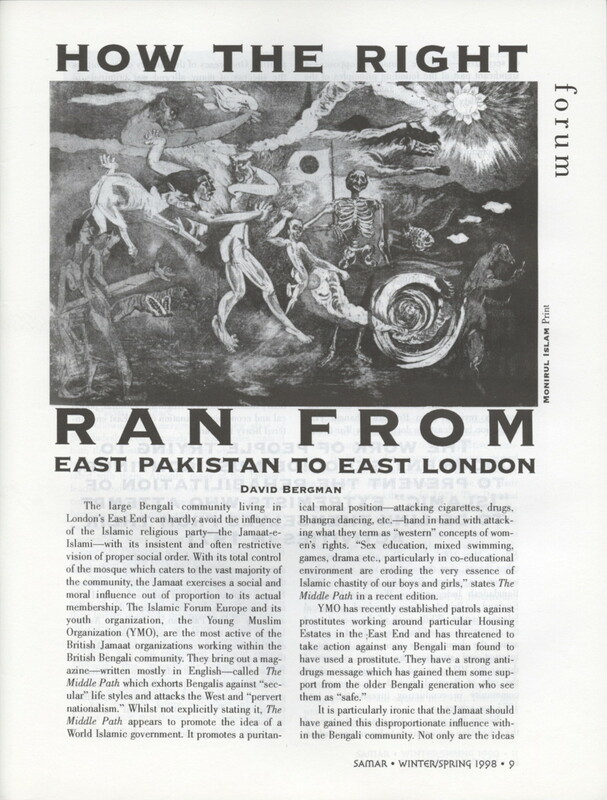 The issue also includes an interview with Bangladeshi photographer Shahidul Alam, and prints from Jamal Ahmed, Ashok Karmakar, and Qayyum Chowdhury from a collection commemorating the 1971 Bangladesh Liberation War.